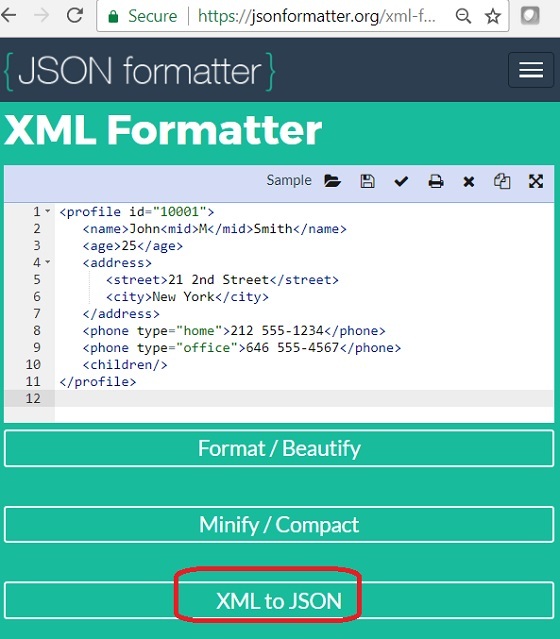 How to use the XML to JSON Conversion Tool at jsonformatter.org? 1. Go to the JSON and XML Conversion Tool page at jsonformatter.org. An XML attribute is converted into a JSON name and value pair, with "_" added to the attribute name. "__text" is used to name XML text content.. Scattered text contents are concatenated to a single JSON String. Empty XML element is converted to an empty JSON String.